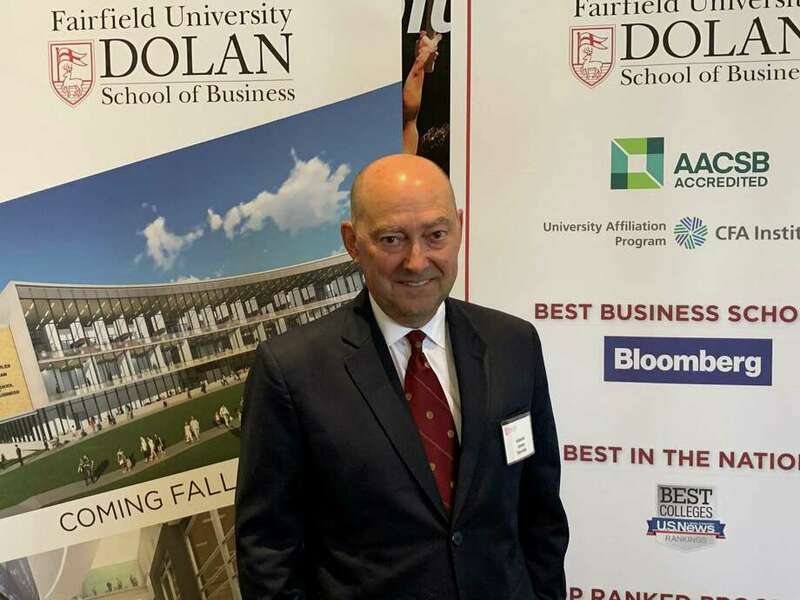 Four Star Navy Admiral James Stavridis at Fairfield University Monday. Fairfield University’s Quick Center for the Arts hosted Four Star Navy Admiral James Stavridis Monday. Stavridis addressed “21st Century Leadership: Challenges and Opportunities” as part of the Dolan Lecture Series. Stavridis explained key tools he believes all leaders need in order to help them succeed in the 21st century. He drew upon knowledge from his own leadership experiences spanning nearly four decades, using examples related to cyber security, terrorism, Iran, North Korea, Afghanistan, and the environment. Stavridis spent 37 years in the Navy. Among numerous notable commands, Stavridis spent four years as the 16th Supreme Allied Commander at NATO, overseeing operations in Afghanistan, Libya, the Balkans and piracy off the coast of Africa. He also commanded the US Southern Command in Miami, charged with military operations through Latin America and is the longest serving combat commander in recent US history.